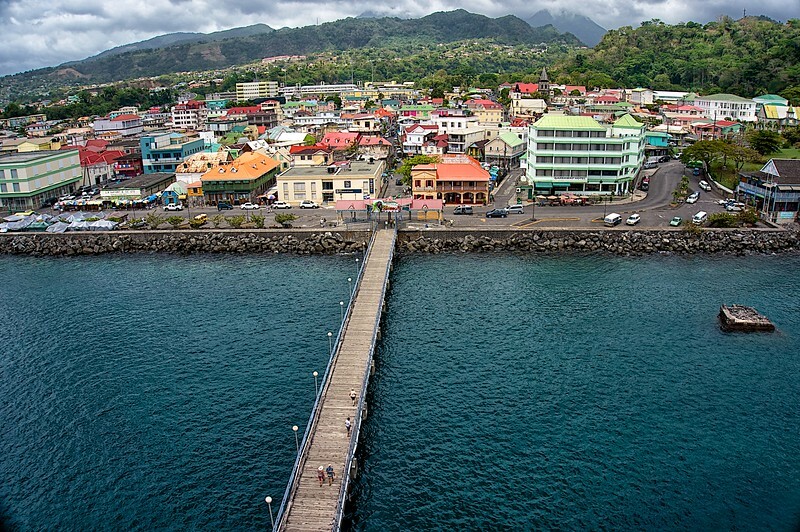 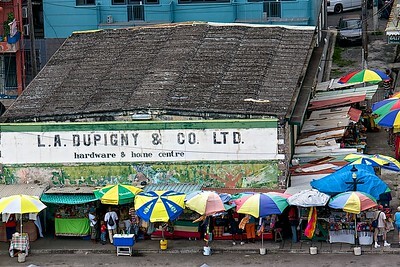 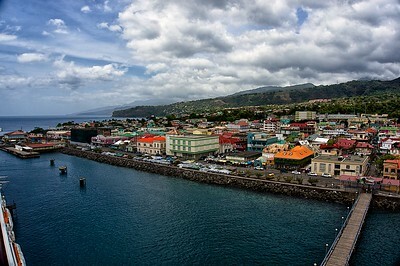 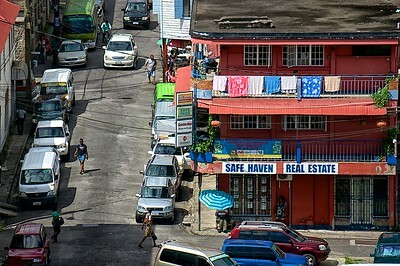 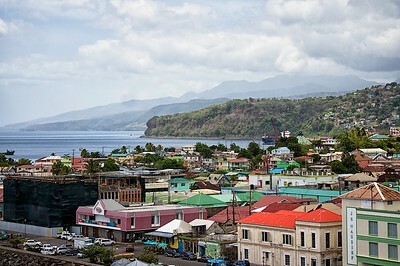 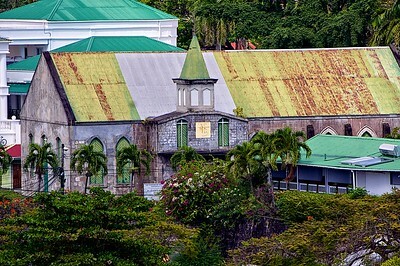 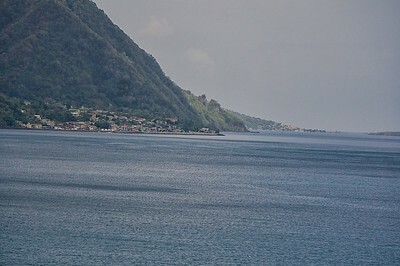 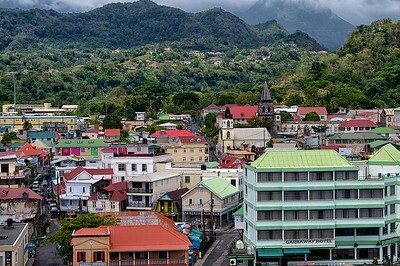 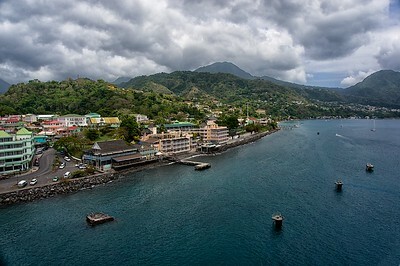 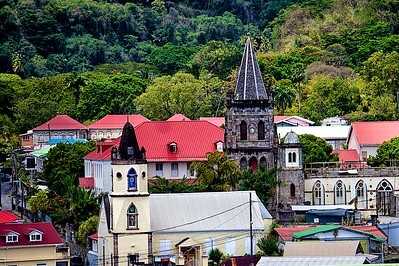 The small compact town of Roseau on the island of Dominica was our stop on April 24, 2014. 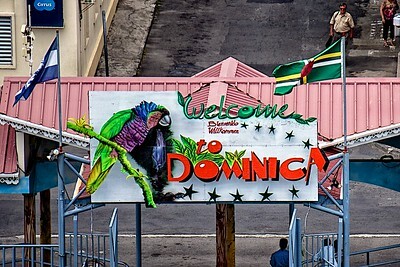 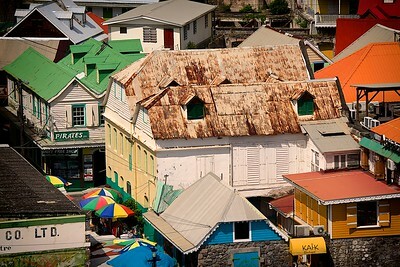 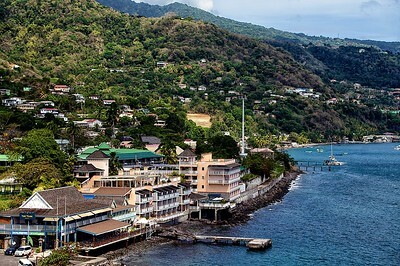 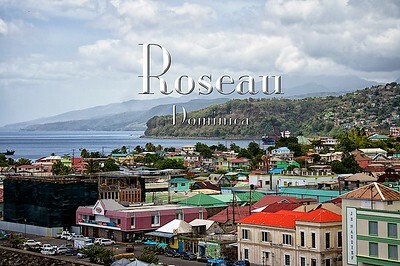 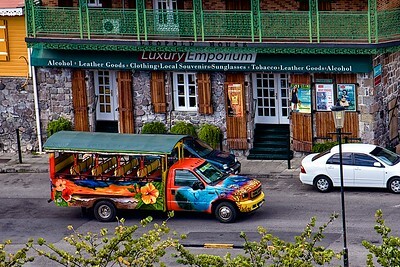 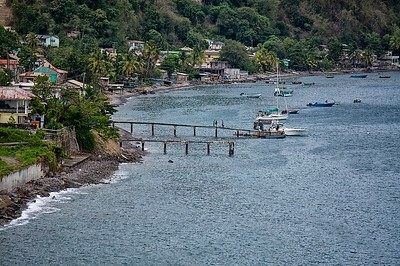 Roseau is a poor caribbean town that doesn’t see much tourism. 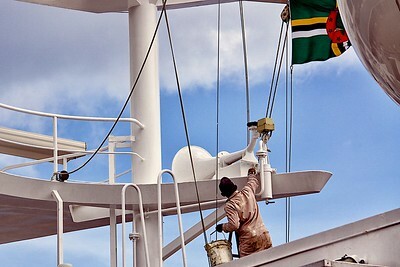 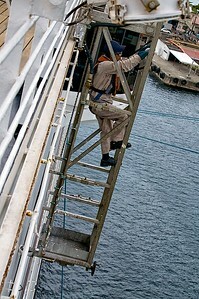 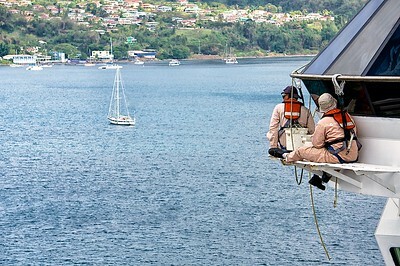 Today there was intermittent rain showers so we stayed on the ship. 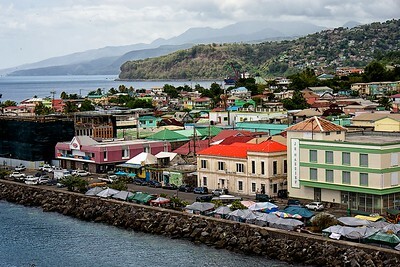 The town is mostly catholic and there are a lot of churches that can be seen from the ship and many buildings had tin roofs. 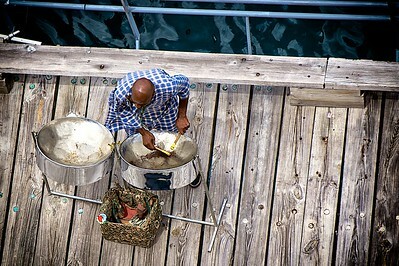 Some locals set up a craft area under tarps near the pier and there was a steel drum playing on the pier much of the day.